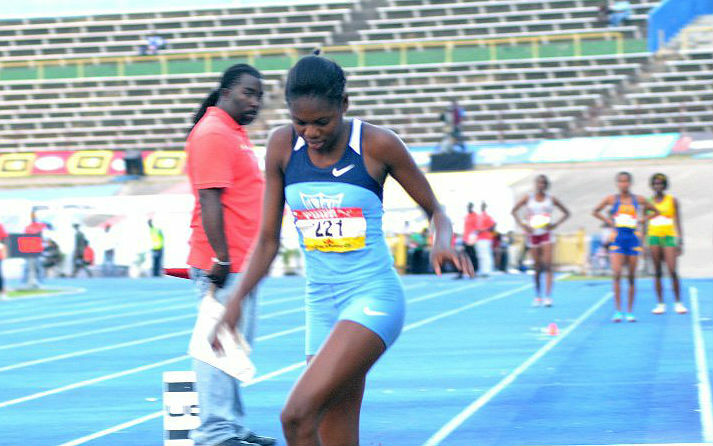 After six finals on Thursday, defending girls champions Edwin Allen lead the girls’ team rankings with 47 points, following a very productive third day of competition. Annia Ashley and Janique Burgher were among the gold medal collectors on Thursday and they helped the reigning champs to score 28 points on the day after trailing Hydel High by a point entering the third day of action. Hydel dropped to second place with 33 points while Excelsior High are on 26, Holmwood Technical High on 24 and St. Jago High rounding out the top five with 23 points. Also scoring points on the girls’ side are Vere Technical High (16), Camperdown High (11), Wolmer’s Girls (9.2) Immaculate Conception High (9.2), Buff Bay High(6), Convent of Mercy Alpha (5.2), Lacovia High (5), Petersfield High (3), St. Andrew High (2), St. Andrew Technical High (2), Holy Childhood High (0.2) and Herbert Morrison Technical (0.2). Meanwhile, Kingston College continue to lead on the boys’ side, but the gap is slowly closing. The Purple and Whites are still the front-runners with 41 points after six scoring events. However, former champions Jamaica College made a good run on Thursday’s day three to close the gap — finishing the night on 39.5 points with lots of scoring events still to come over the next two days. Defending champions Calabar moved up to third place with 28.5 points, despite shockingly dropping some big points they were expected to collect on day three. Petersfield High, on the back of two gold medals in the throwing events, jumped into the top five at fourth place with 28 points while St. Jago High, who entered the day in second place, collected just three points and fell to fifth with 24 points. Herbert Morrison Technical and Excelsior High are both on 16 points, Morant Bay High are on 12, Buff Bay High are on 10 and Rhodes Hall High complete the top 10 with 8 points. Scoring points on the boys’ side after six finals as well were: Meadowbrook High (7) Mavis Bank High (7), Hydel (7), Munro College (6), Cornwall College (5) Camperdown High (4), Campion College (4) Wolmer’s High School for Boys (3), Bellefield High (2), Muschett High (2) Old Harbour High (1) and Holmwood Technical High (1).